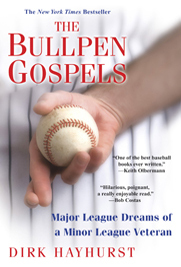 Dirk Hayhurst in The Bullpen Gospels, a reflection on a year pitching in the minor leagues. Really, really good book. Really. This entry was posted in Baseball by Jackie, The Baseball Bloggess. Bookmark the permalink.